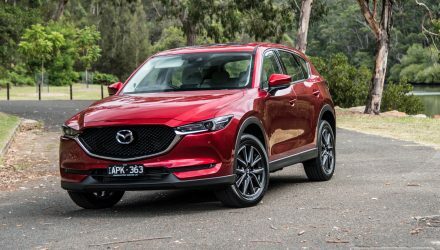 Mazda dominates SUV sales in Australia, with its CX-5 longstanding as the best-selling new SUV in the country. 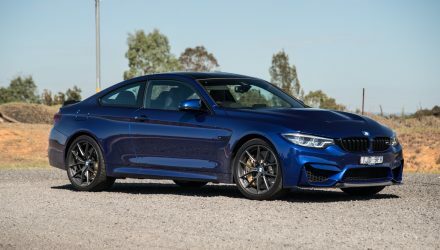 And it isn’t even offered in 7-seat form like some of its rivals. 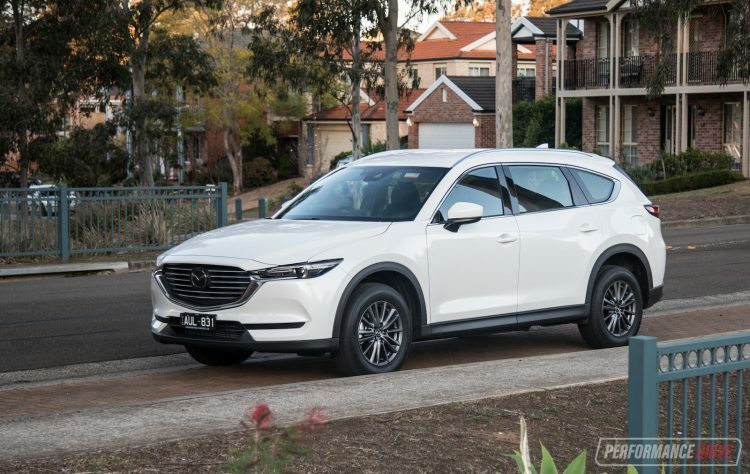 So that’s where the new CX-8 comes in to help cater for a wider market. It is a bit strange, the placement of the CX-8. 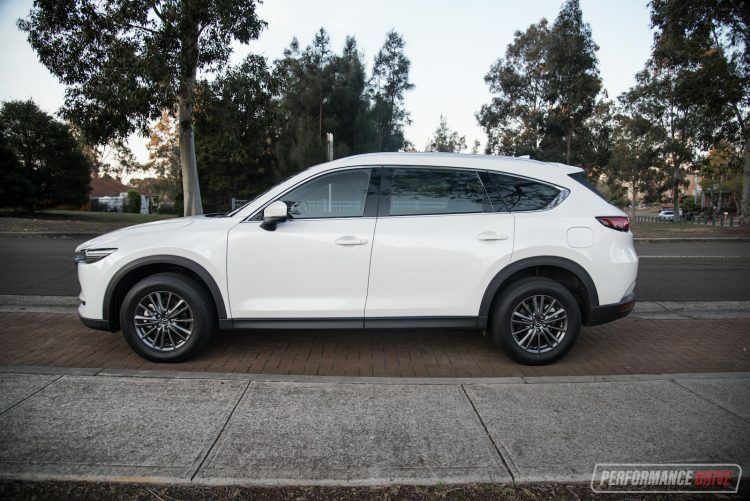 You have the mid-size CX-5, which is available in petrol and diesel form and in front- and all-wheel drive configuration. And then you have the CX-9 which is quite a bit larger and presents seven seats inside, but it’s only available with a 2.5-litre turbo-petrol. 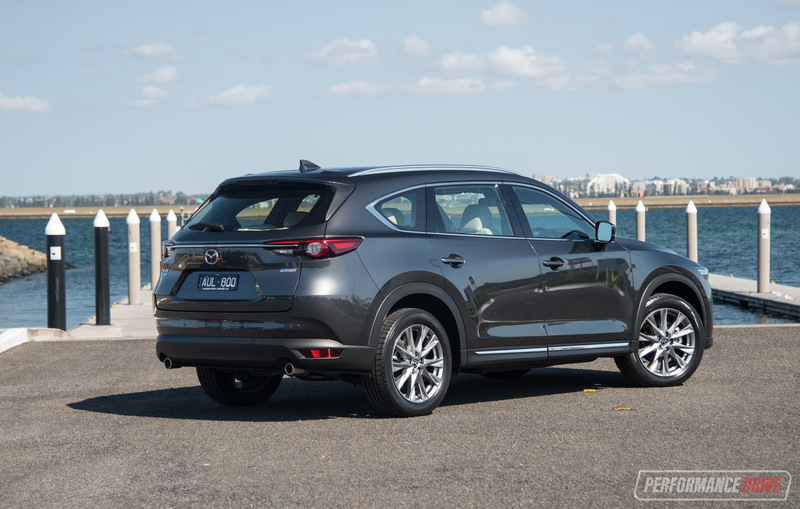 The CX-8 wedges somewhere in between, offering seven seats but with diesel power only. There’s only two variants available in Australia to keep things as simple as possible, ranging from the Sport (FWD and AWD) to the top Asaki (AWD only). 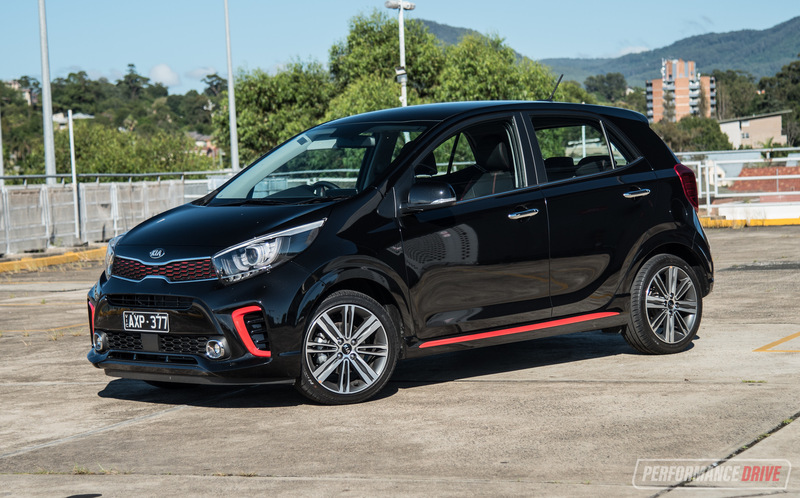 All are automatic and all come with a 2.2-litre twin-turbo four-cylinder diesel engine producing a strong 140kW and 450Nm. 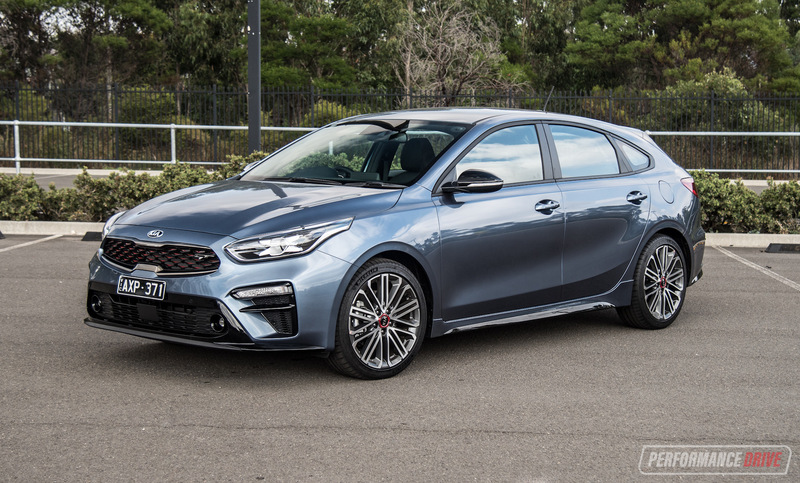 We’ve sampled the Sport AWD and Asaki here to see how the new nameplate shapes up and to see if it is worthy of your attention. Prices span $42,490, $46,490, and $61,490, respective the variants mentioned above. 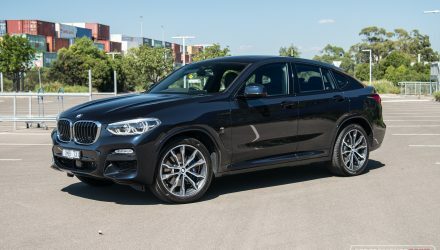 This makes it slightly more expensive than the CX-5, expectedly, but they are impressively packaging with standard kit. We honestly mean ‘impressively packaged’. 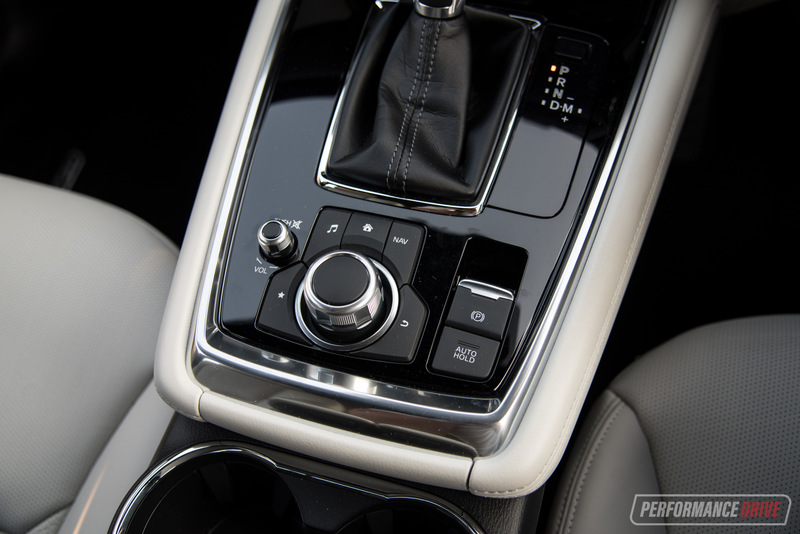 Even in base Sport guise the CX-8 comes with a whole heap of advanced and convenience-focused tech. 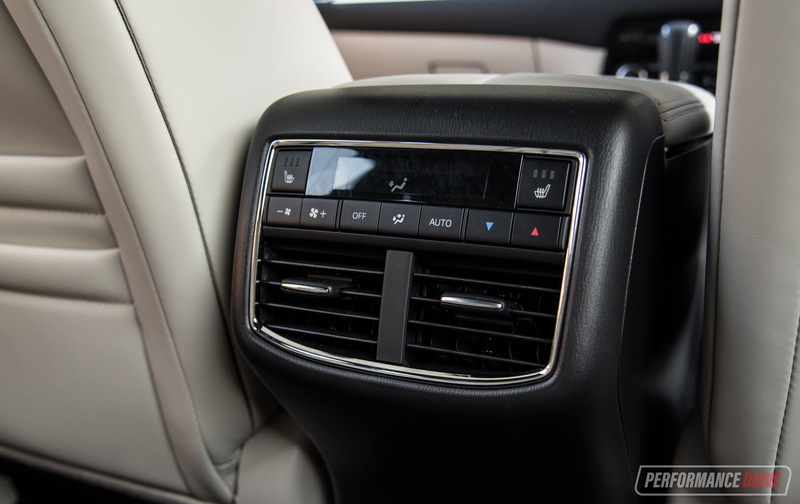 Head-up display is standard, as is a clever blind-spot detection system with little displays within the head-up unit to warn you of close vehicles, and then in the middle row you have separate climate control (with rear seat heating in the Asaki). 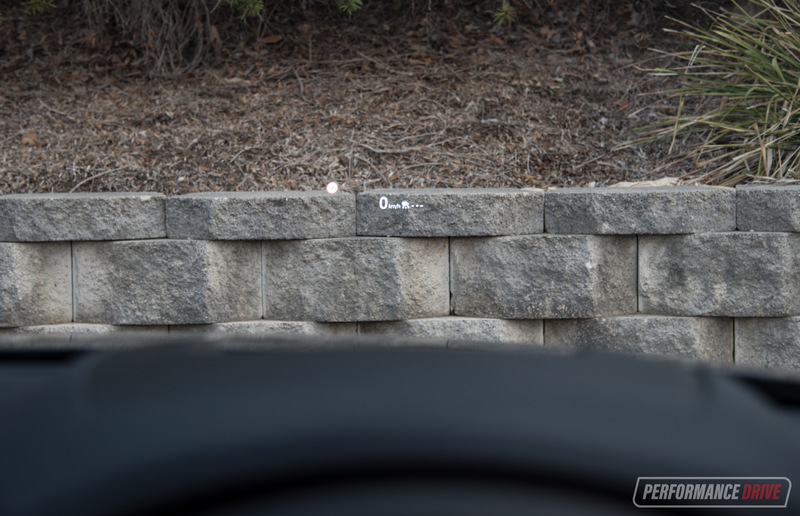 This stuff is usually only seen in premium vehicles, or at minimum the higher-end versions of mainstream cars. For example, we’d expect some of it to be offered with the top Askai as it is priced fairly high. But not on the base Sport. 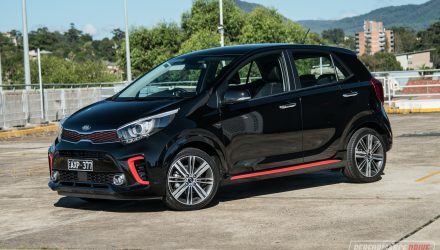 The Sport also comes with sat-nav, the marvellous MZD Connect and touch-screen system, a rear-view camera with cross-traffic alert, digital radio, and adaptive cruise control. We’ll keep going. There’s also autonomous emergency braking (forward and reverse) with pedestrian detection, and driver attention detection. We can’t keep going on like this as it starts to become a bit overwhelming. But we just want to reiterate how well kitted out it is. 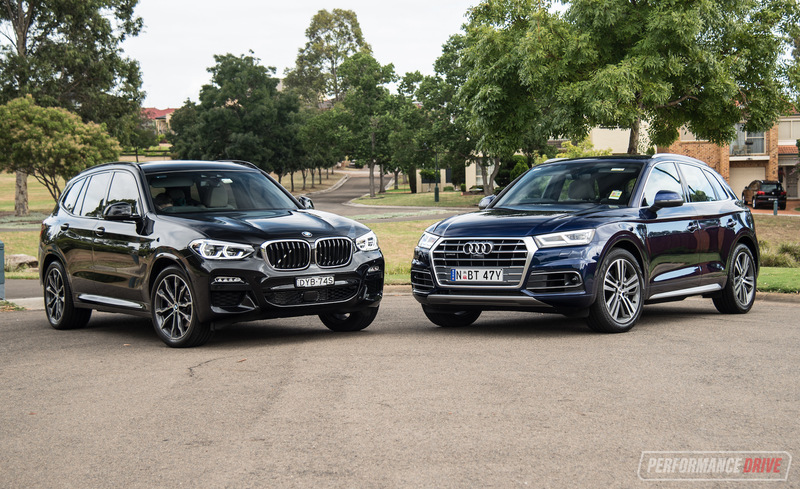 We can’t think of many 7-seat SUVs in this price range that offer this much as standard. 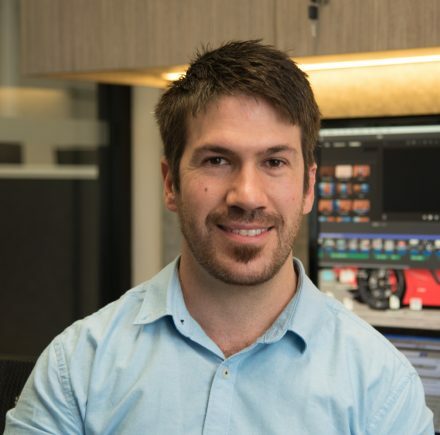 In fact, we challenge you to find said vehicle on the new car market. 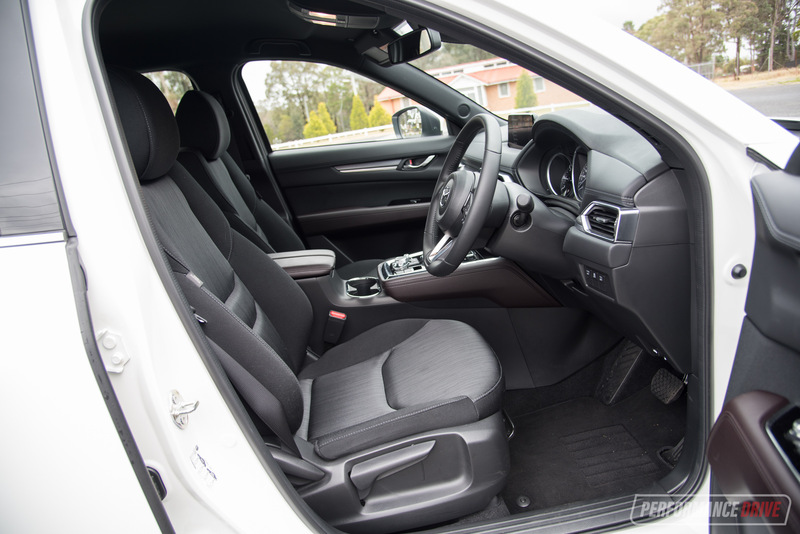 As for the interior setting itself, it is very similar to the CX-5. After all, the CX-8 is based on the same platform only the wheelbase is stretched by 230mm. Most of the differences are seen beyond the front doors. From the outside you might notice the rear doors look stretched and even a bit odd. And that’s because they are. 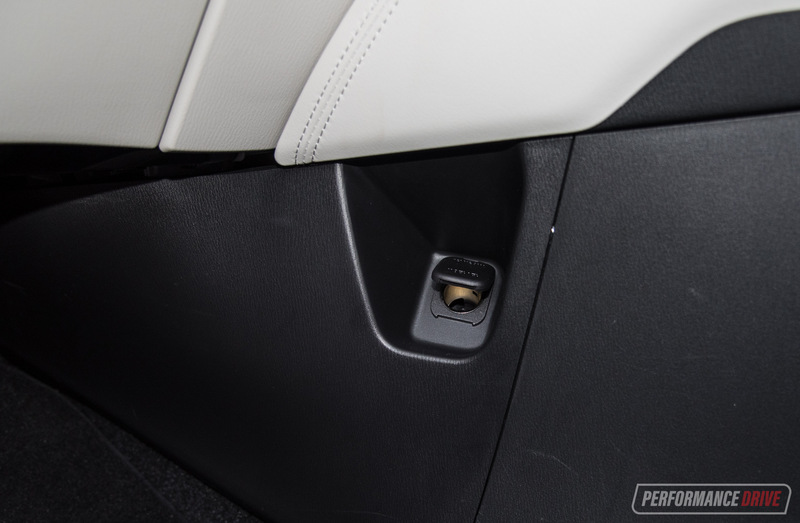 This gives you some clues as the vast rear seat space. 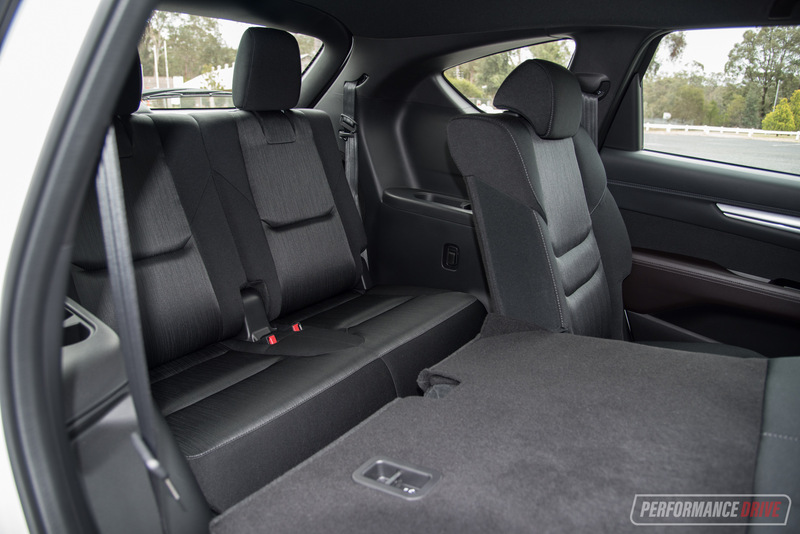 Legroom in the back can be adjusted thanks to the standard sliding and reclining middle row 60:40 bench. Even at the most-forward setting the legroom is ample. 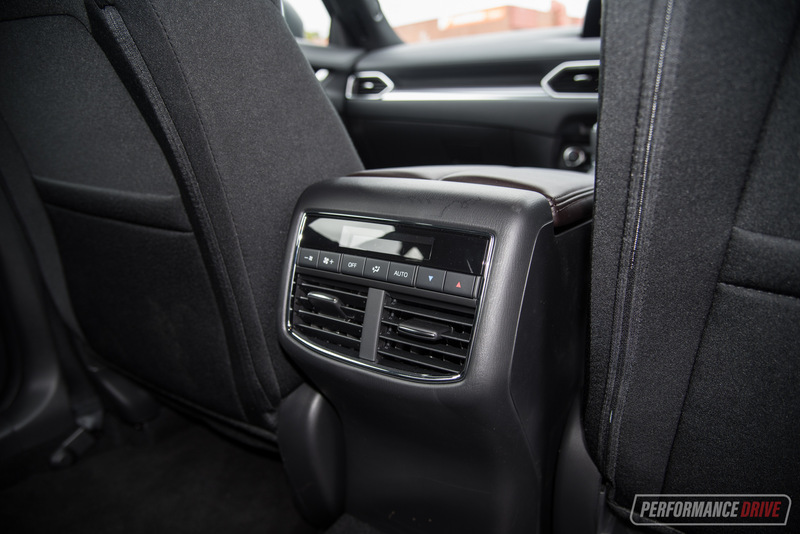 We like the texture on the seat material on the Sport model, too. It is just a base model but the unusual pattern and slick feel is a very nice touch. Getting into the third row can be a bit clumsy for adults. You use the one-flick lever on the top of the seat and the bench section will slide and rock forward at the same time. But there isn’t much gap to step through. 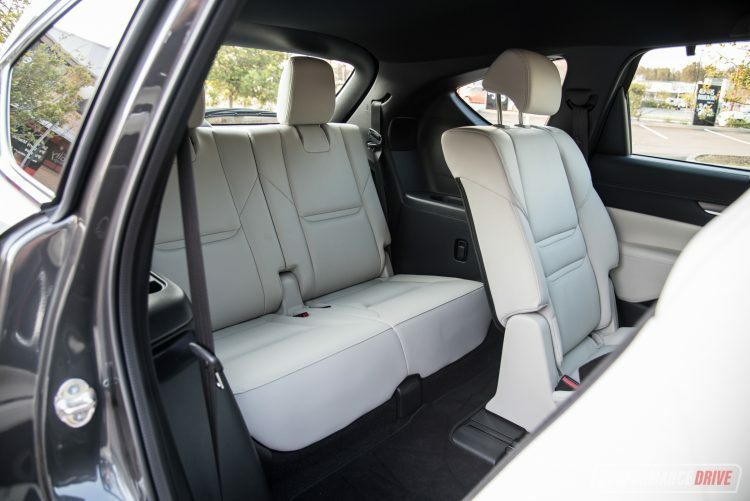 Once you’re in, you need to negotiate with the middle seat passengers to get the most space back here otherwise it can feel cramped. For adults anyway. For children the seats are fine, and they offer more room than the CX-5 rivals that have seven seats; the Nissan X-Trail, Honda CR-V, and Mitsubishi Outlander. Into the Asaki and you can immediately notice its luxury focus. 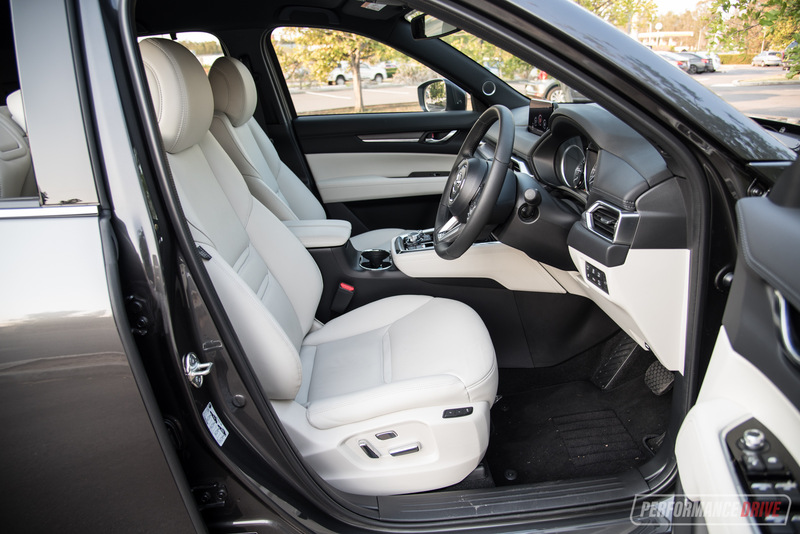 This test vehicle is featured with the no-cost optional Pure White Nappa leather upholstery, which is paired with real wood trimmings for that elegant touch. If you’re not a fan of white leather there’s also Dark Russet available. But we think the white is definitely something to consider as it really brightens up the atmosphere and makes it feel properly luxurious. 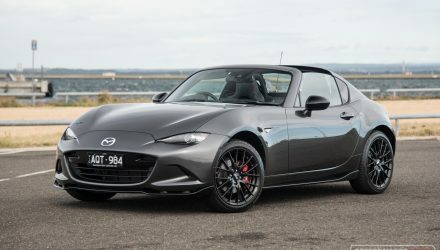 Mazda has done well to give it a two-tone layout as well, whereby the lower section including the floor is black to minimise the appearance of any marks and wear. 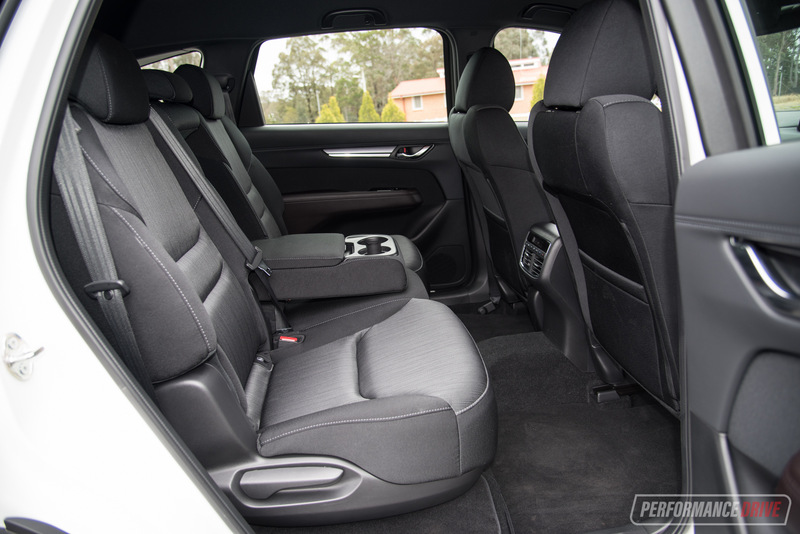 Cargo space rather depends on the position of the rear seats. You can fold down the third row, and it does fold completely flat. However, the boot floor is higher than some rivals. You can also fold down the second row. With all seats up you’re left with a small but useable 209L, up to a very deep 747L, and a maximum of 1727L. 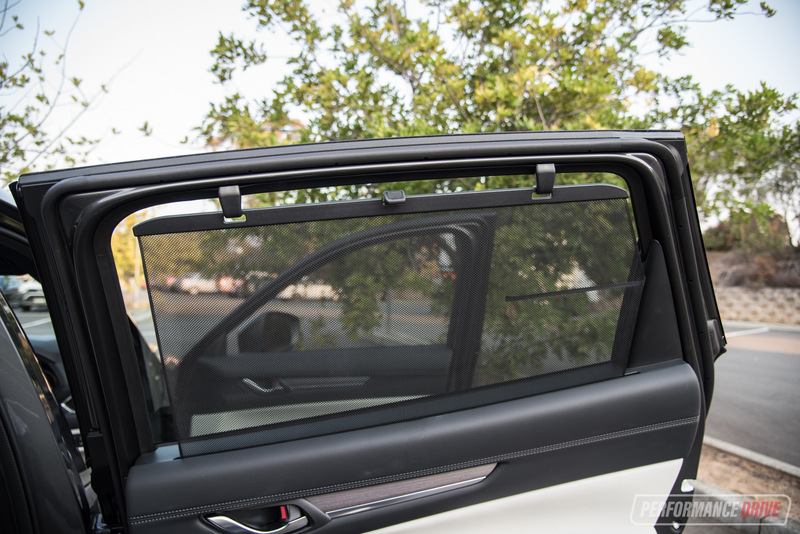 As a word of warning, if you’re not using the third row we’d recommend folding them down, as the unusually tall headrests (which can be folded separately) do block your rearward vision. 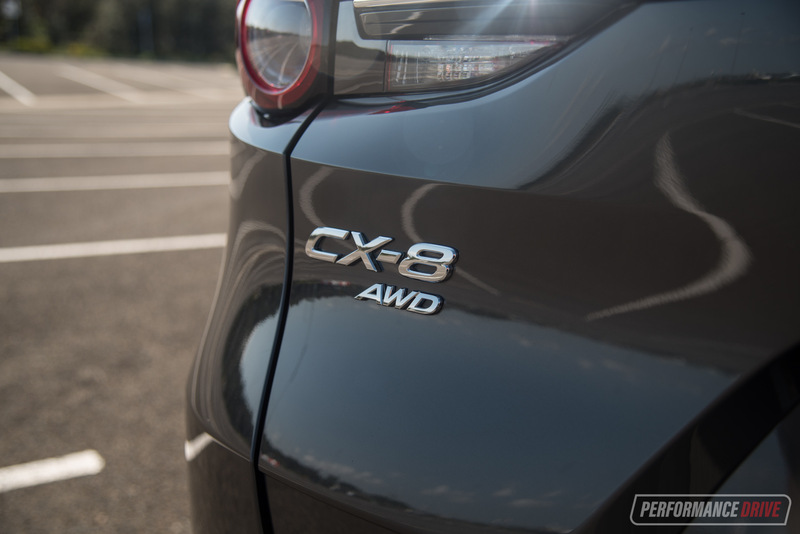 We loved the latest twin-turbo diesel in the CX-5. 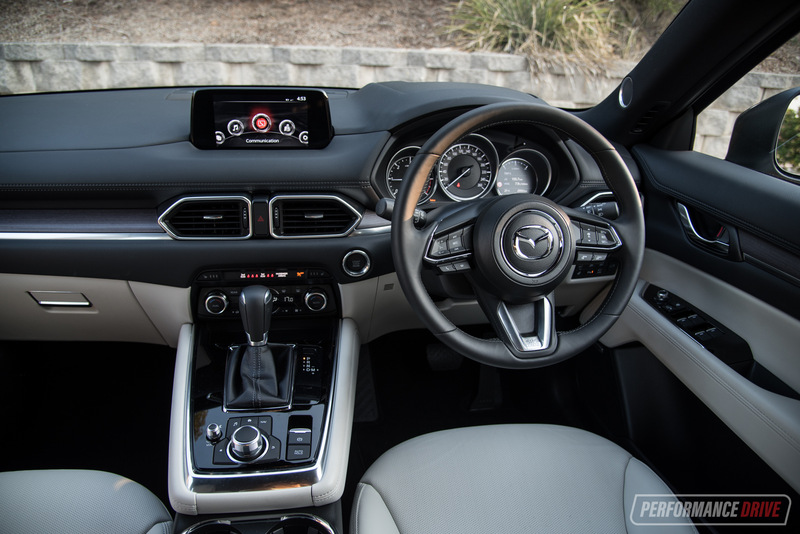 In the CX-8, it sounds like Mazda has fit some sort of electronic sound enhancer system in the cabin. But for once we’re not complaining about it. It sounds quite good, and very petrol-like, actually. In fact, get a friend to jump in for a ride and ask them if they think the engine is diesel or petrol. We bet they’ll say petrol. 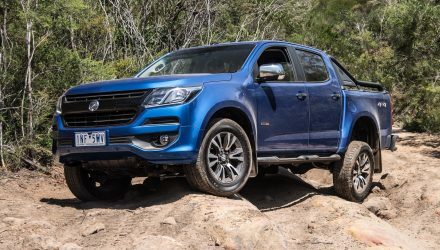 There’s very little of that traditional diesel clatter, at least from the inside, and it freely revs up through the range much like a petrol. 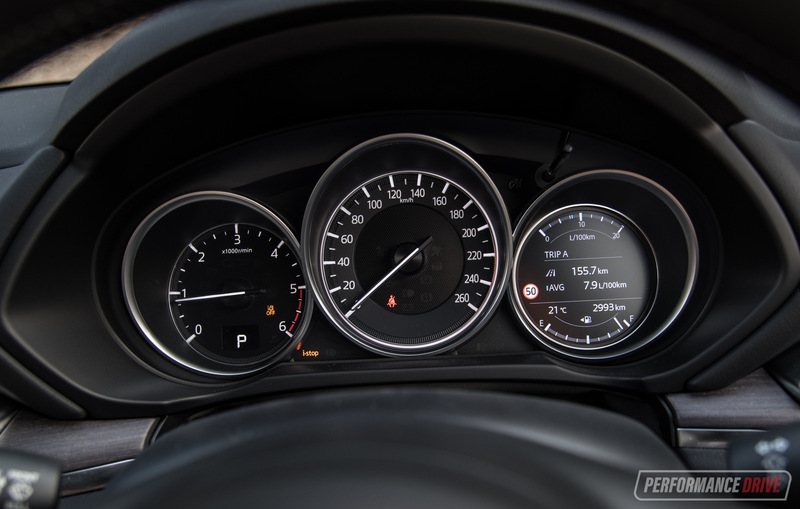 The redline is around 5000rpm, although peak power of 140kW is reached at 4500rpm. Peak torque, of 450Nm, is hit right on 2000rpm. 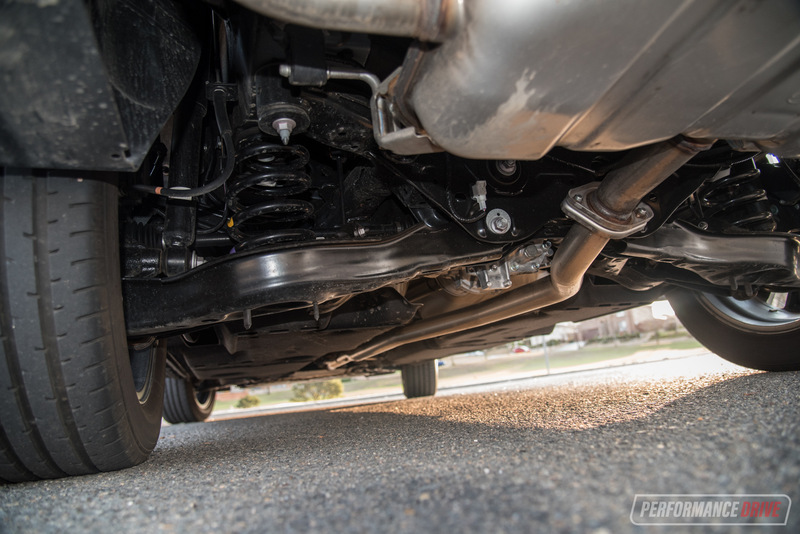 This is about exactly where you want the torque. Just as you leave off and the revs start to build, you get that full whack of shove. Across the 0-100km/h sprint our Vbox showed a best of 9.17 seconds in the Asaki (we didn’t time the Sport). 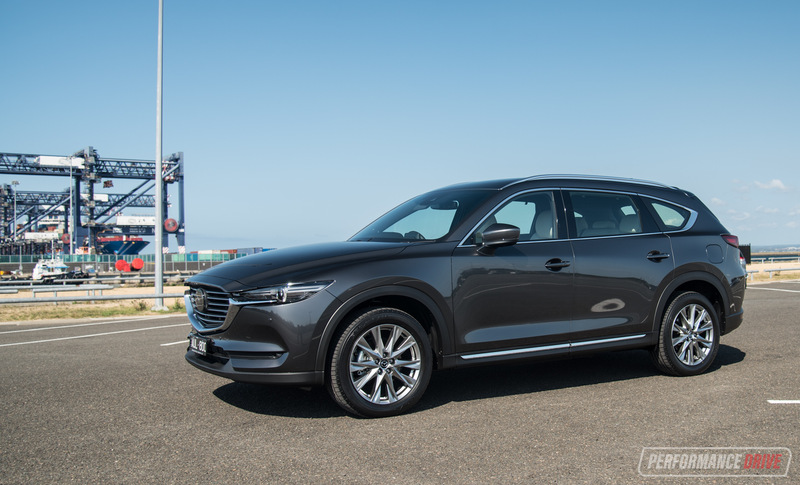 This is around 2 seconds slower than the top-spec AWD CX-5 GT diesel that we tested a few months ago. Why is there such a difference? Weight. 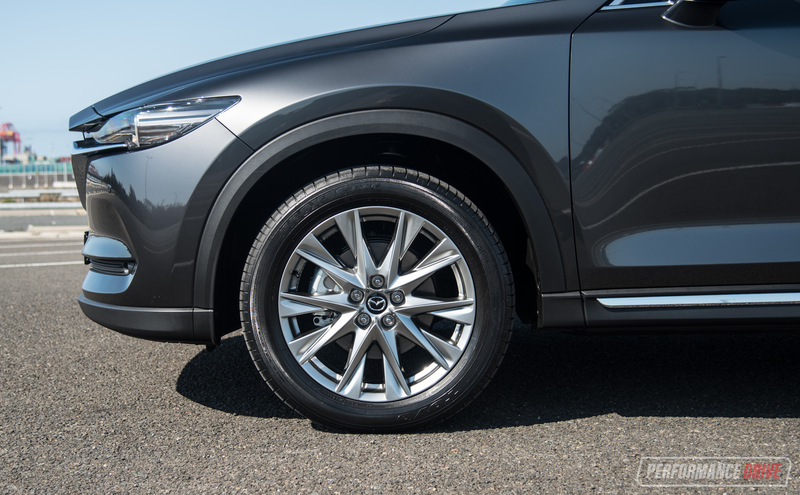 The CX-8 in top Asaki form weighs in at 1855kg tare (1957kg kerb). 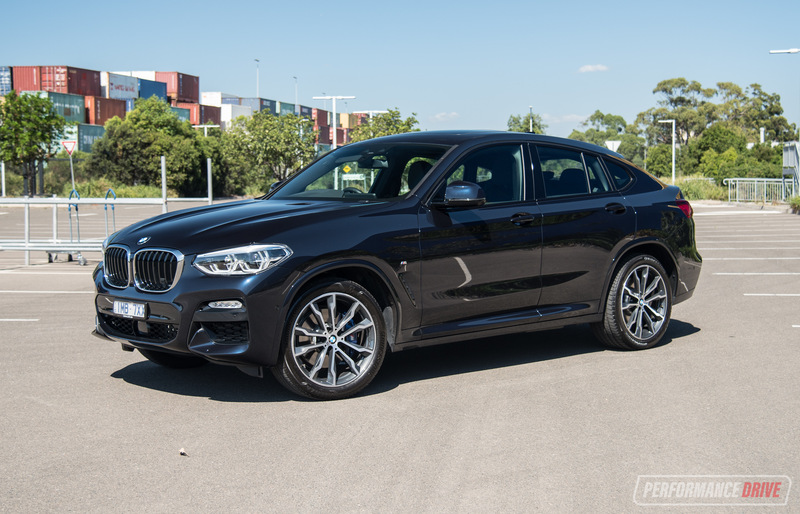 Compared with the GT CX-5 AWD diesel, which weighs 1650kg (1751kg kerb), this is a heavy one. 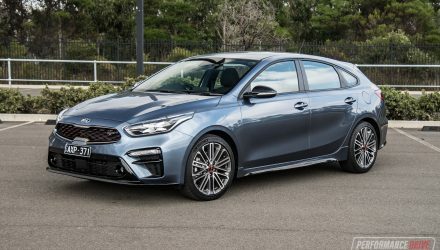 For reference, the base CX-8 Sport FWD weighs 1785kg tare (1840kg kerb), which may be able to achieve slightly quicker sprints. Weight doesn’t only affect performance. The fuel economy is damaged as well. 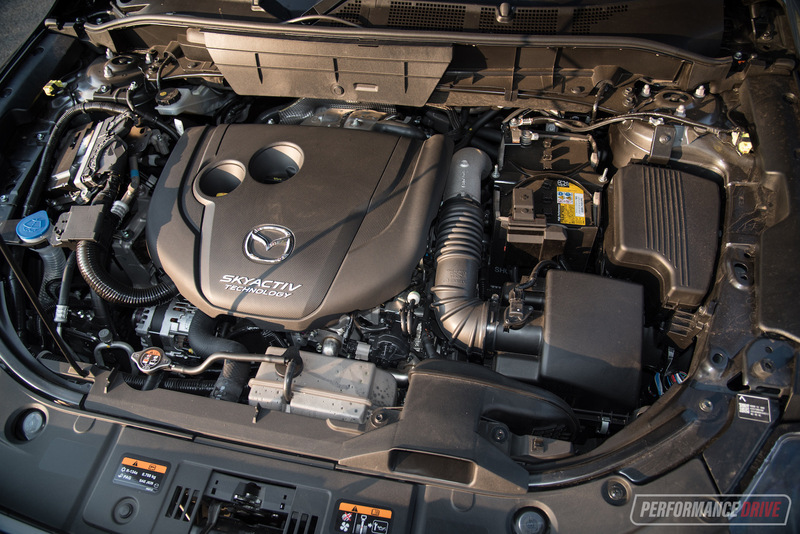 While the top CX-5 diesel AWD is stamped with a 5.7L/100km official average, the Asaki AWD is rated at 6.0L/100km. Don’t get us wrong though, this is a very good fuel economy average, especially for a 7-seat SUV. 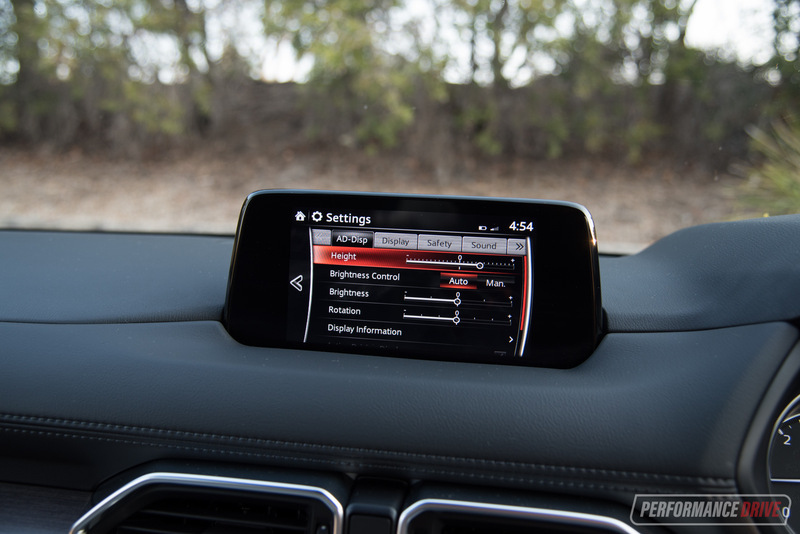 During our test we saw the trip computer drop as low as 6.2L/100km in real-world, albeit mostly highway driving conditions. Our overall mixed conditions average was about 7.4L/100km, which is outstanding we think. 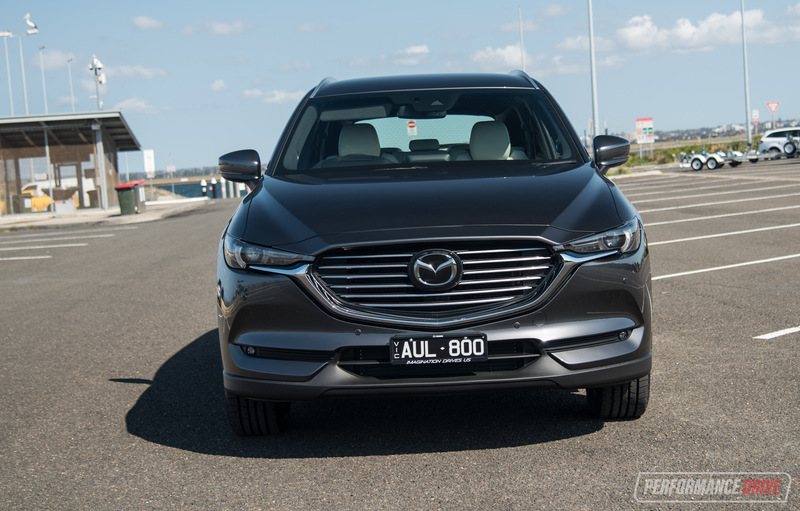 In terms of the handling, the CX-8 doesn’t feel as sharp as its smaller CX-5 brother. Actually, it feels quite soft. 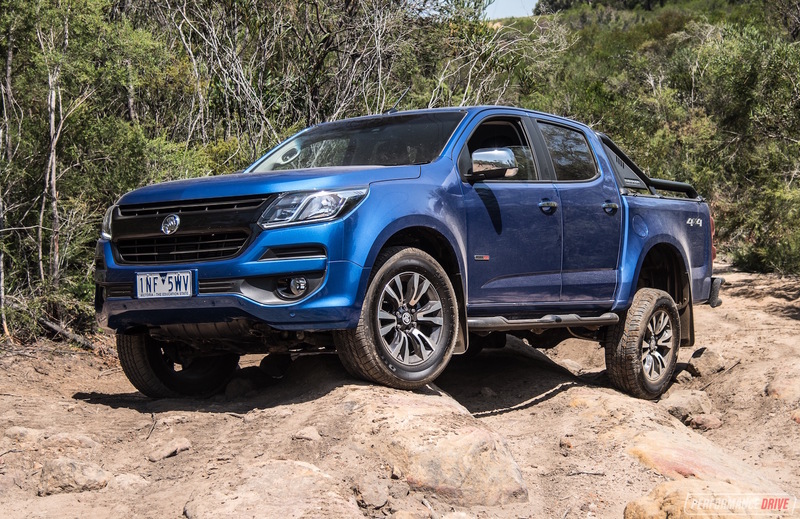 A longer wheelbase in any vehicle usually smoothens out the ride, which is obviously what’s happened here. 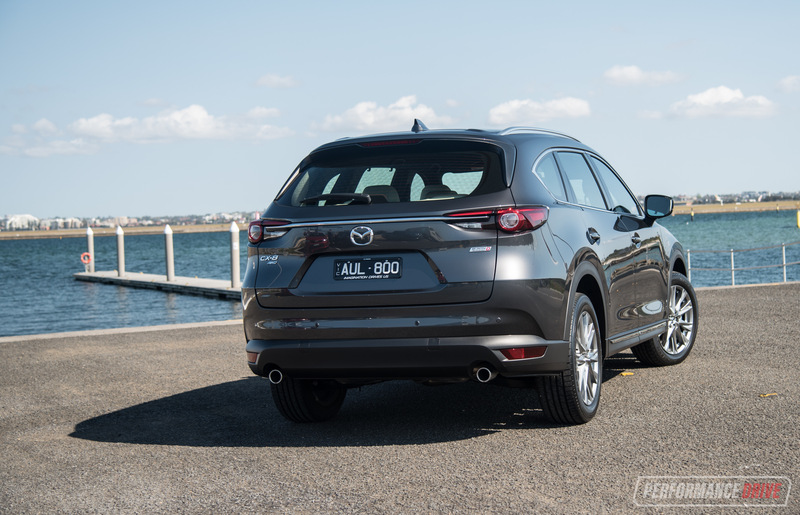 But it also feels like Mazda has implemented a slightly more relaxed spring and damper setting for the CX-8. 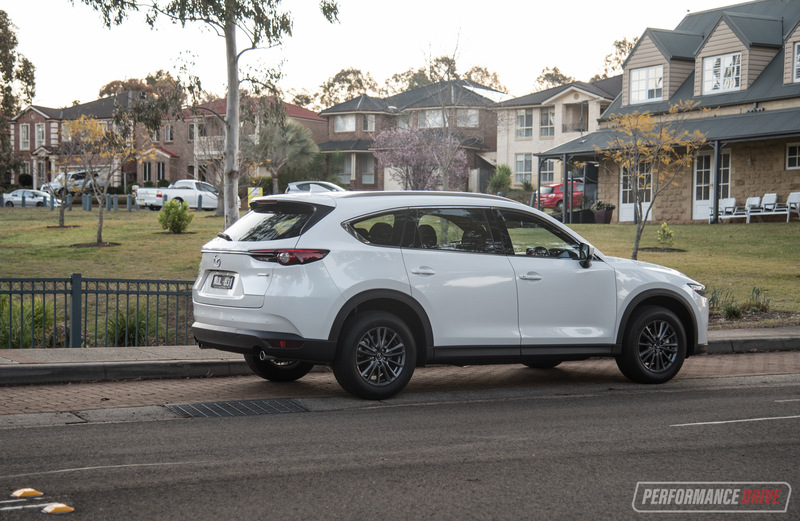 For sporty driving it doesn’t offer that crispness that the CX-5 presents. 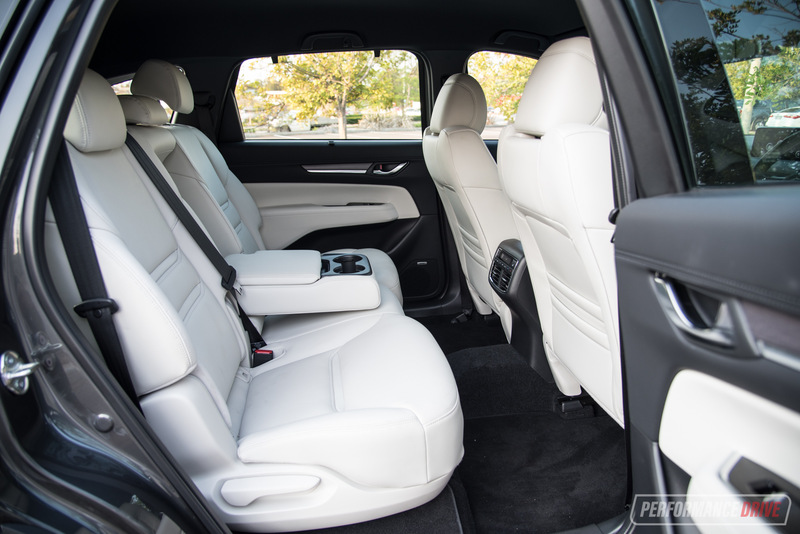 On the contrary, the CX-8 is definitely a more relaxing and comfortable drive, which could be perfect for the grand touring family. 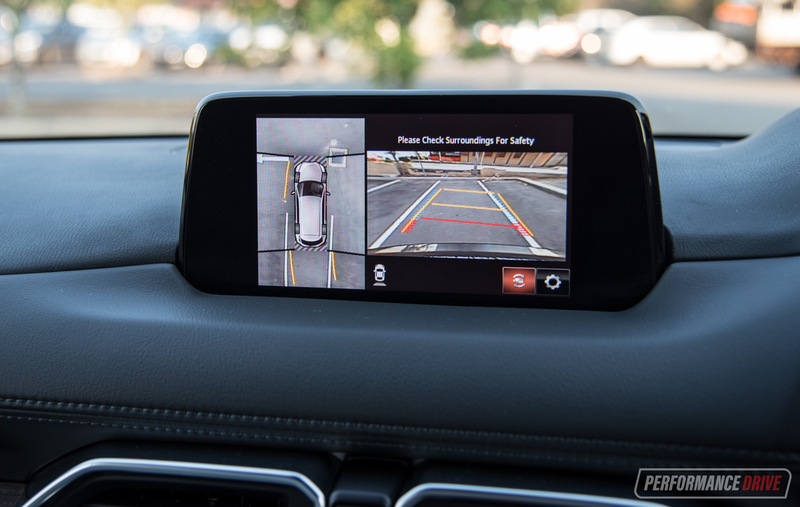 The CX-8 is so impressively packaged with standard features, we had to triple check the facts as we just didn’t believe it. 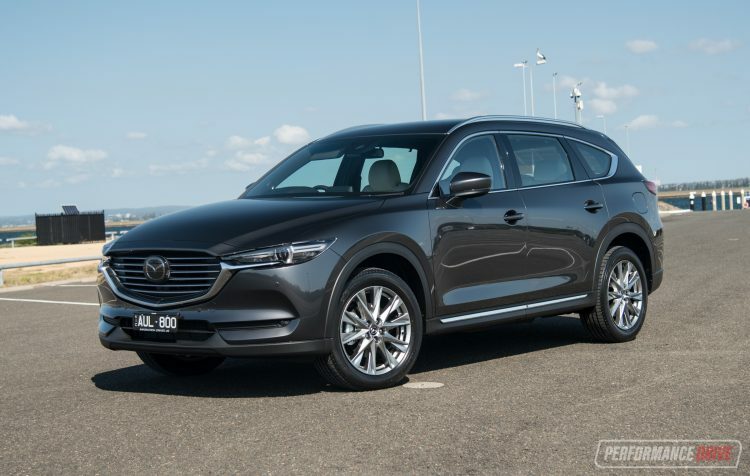 Mazda Australia has done an excellent job of putting this all together, and the prices are appropriately spaced between the CX-5 and CX-9. 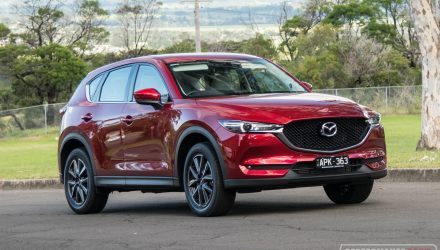 So, you get all of the latest and greatest tech that Mazda offers, but should you consider one over the hugely popular CX-5? It is quite simply really. 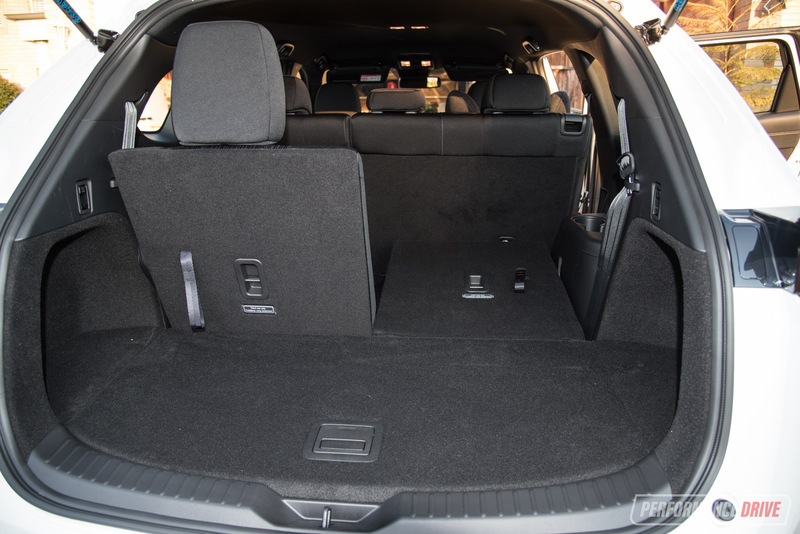 If you need a bit more boot space and/or you’d like some additional seats for the odd trip with visiting relos or friends of the kids, the CX-8 is a prime candidate. 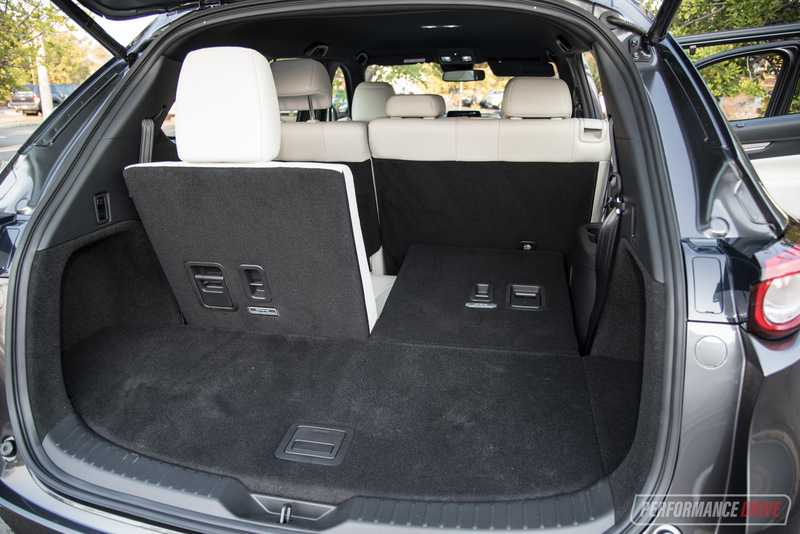 If you require a full-time 7-seat SUV on the other hand, we’d suggest you move up to the CX-9.